Transform Your Life & Accelerate Your Success With The Only Proven State Of The Art Dr.NLP, Time Line Therapy, Hypnosis Practitioner, Master Practitioner Experiential Trainings And Go To The NEXT LEVEL in Life & Business Now. Richard Bandler Certified 7 Day Licensed Practitioner of NLP Training Will Be Conducted From 4th to 10th May 2019 in Bangalore. Neuro Linguistic Programming (Total Life Transformation With NLP) is an art and science of excellence. It teaches you how to use your own mind in a more powerful and effective ways to produce a result you want in all areas of your life. It's a powerful technology that produces results quickly and easily. Developers of Total Life Transformation With NLP had discovered happiness and success are the result of specific patterns of thinking that can be learned by anyone. With Total Life Transformation With NLP unlimited possibilities to learning and changing are available for you. Ultimate Total Life Transformation With NLP is about how human beings think & how we communicate - two things we do almost every day. It's the most powerful approach I've found for knowing yourself, getting what you want & connecting with other people. It has been widely applied, with often astonishing results, in diverse fields including business, coaching, psychology, sales & education. Obtain the characteristics of high achievers. Program your mind to get the results you want. You'll rapidly gain confidence in your abilities in our highly experiential program style. Through skilful presentations, live demonstrations and supervised exercises, you'll see, hear, and feel your growing effectiveness. The majority of your time is spent "learning by doing" in a highly supportive environment. Group size is designed to give you personal attention from our highly experienced trainers. How Organizations Will be Benefitted by Learning Total Life Transformation With NLP? Improved Leadership, Management and teaching skills. More focused & effective Change initiatives. Better personal communication & influencing skills. Business Vision and Goal setting. Ability to create stronger Patient/staff relationships. Develop greater team work, creativity and problem solving skills. In 2001 We got trained from one of the certified trainers of NLP comprehensive team and we went on learning more and more. Before we started conducting Total Life Transformation With NLP trainings we studied all the major contributors of NLP from Richard Bandler's each and every course ( He has many like DHE,NHR to practitioner, master practitioner, persuasion,etc) to Robert Dilts courses as well as John Grinder ( New Code NLP), Frank Pucelik,Michael Grinder,Paul Mckenna, Michael Hall, Tad James, Wyatt Woodsmall,John overdurf, Chris Howard & most importantly 'Tony Robbins' and finally developed what we call 'World's Greatest Total Life Transformation Course' keeping the international standards in mind.The course which provides the best possible experiential learning you can ever take to transform your life. Best thing about learning 'World's Greatest Total Life Transformation' is its Hypnotification, by the time you finish the course you will realize you have mastered the tools & strategies unconsciously and already started using them skilfully to get the desired results. The name Total Life Transformation With NLP refers to (Neuro) the human nervous system, including the brain and the five senses, (Linguistic) the verbal & non-verbal languages with which we communicate and (Programming) the ability to structure our neurological and linguistic systems to achieve desired results. Total Life Transformation With NLP was developed starting in the early 1970s by Richard Bandler and John Grinder, when they set out to model the work of geniuses in the field of human communication and change. The term Total Life Transformation With NLP is used to describe both the approach to modelling that they used, and the powerful models of communication and change they (& others) created, and have continued to develop. 100% Satisfaction Guarantee: After attending this intensive transformational course, if you do not feel this is absolutely the best training course you have ever attended in your entire life, we will refund your course investment. 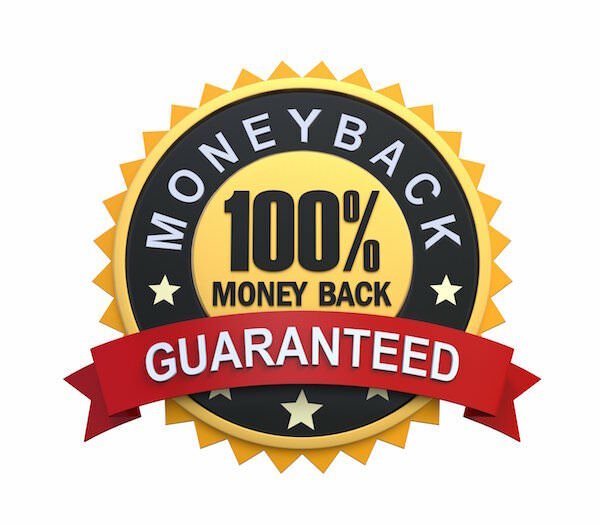 100% Satisfaction Guarantee: After attending the first day of the course if you do not feel this is the best training course you have ever attended in your entire life, we will return your course investment. Do I Really Need "Training" To Transform My Life Completely? You are right. Five day's " World's Greatest Total Life Transformation Intensive Training" will provide the proven tools and strategies to transform your life like never before. You can experience by yourself, how quickly and easily your's and other participant's lives change. I'm doing pretty well. Do I really need this training? How is this any different than other trainings that's already out there? This is the only proven step by step training in India that provides easy to use tools and strategies. Our Trainers Dr.Latha Das and Ramachandra Bandekar have done huge research on the subject. More than 20000 hours of study, more than 75000 people transformed. all over the world and this course has evolved like no other courses. you will be the beneficiary of their hardwork. 5 days in a row for the training is too long any other options? Yes. It is a very valuable course. Transformation is not cheap. Our Trainers have invested more than 20,000 hours in research and development of this course. We have spent more than Rs. 15 lakh and 16 years to create a truly life transforming course. By the time you finish the course, you will realize it was worth paying ten times more than what you really invested. I want to help others can this course help? This course will provide the tools and strategies which are easy to use and yes you can change yourself and help change others too. Register 3 months before and schedule a convenient time for your training. If you are looking for amazing life transforming training programs to become highly successful in personal and professional life, you’ve come to the right place!